As attractive as the Upper Tampa Bay area is to folks seeking a place to live, raise a family and retire, it’s just as appealing to those looking for a place to do business. The City of Oldsmar lies at the very center of the thriving Tampa Bay market, with equally easy access to (and from) Tampa, St. Petersburg and Clearwater. State Roads 580 and 584 traverse the region, linking the major commercial centers of Hillsborough and Pinellas counties. The Upper Tampa Bay area also boasts the surrounding communities of Westchase, Odessa, Citrus Park and Town ‘n Country, Tampa’s first suburban development. Upper Tampa Bay businesses also have easy access to the rest of the world. Tampa International Airport – recognized as one of the top commercial airports in the world by airline travelers – is just 15 minutes east of Oldsmar and the growing St. Petersburg-Clearwater Airport is just 10 minutes to the south. The ports of Tampa and St. Petersburg provide direct access to international export markets in Latin America, the Caribbean, Europe and Asia. And a trio of major interstate highways – I-275, I-75 and I-4 – connect Tampa Bay businesses with the nation’s primary trucking and ground transportation routes.Affordable land prices, low taxes and competitive construction costs combine to make the Upper Tampa Bay area extremely attractive to all types of businesses, from retail and service-oriented companies to major manufacturing and high-tech corporations. More than 2,000 businesses currently call the area home and employ an estimated 50,000 workers, and a handful of rapidly growing business and industrial parks are in place to accommodate any type of business … no matter how large or small. On top of all that, Oldsmar and Upper Tampa communities are truly “business friendly.” The Upper Tampa Bay Chamber of Commerce – in partnership with Pinellas County and the City of Oldsmar – created the region’s first “Business Assistance program” in mid-1998, and actively seeks to improve the profitability of local business and industry through a variety of programs, buy klonopin without prescription. The chamber boasts an equally good relationship with Hillsborough county officials and area business groups including the Tampa Bay Partnership. Whether you’re looking for a new home for your family, your small business or your corporate headquarters … you’ll find what you’re looking for in the Upper Tampa Bay area. 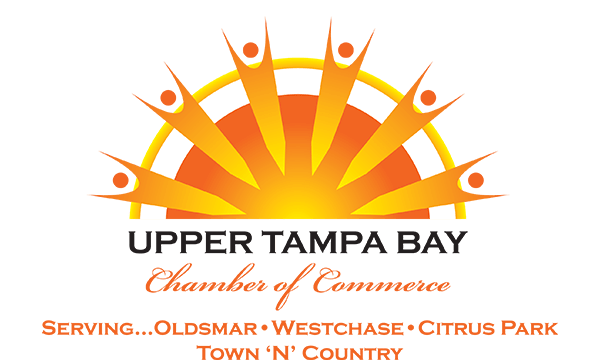 For more information about locating your business – or your family – in the Upper Tampa Bay area contact the Upper Tampa Bay Chamber of Commerce today at (813) 855-4233, or email us using the “Contact Us” button at the top of this page!